The 2nd DCFTA Central Advisory Council convened in Tbilisi. On October 30, 2018, implementers of the European Union - funded project Georgia on the European Way: Creation of Effective Model for DCFTA and SME Strategy Implementation – co-funded by the Lithuanian Development Cooperation and Democracy Promotion Program and the Slovak Aid — convened the second DCFTA Central Advisory Council (CAC) to convey problems identified at regional Local Advisory Councils (LACs) to national decision-makers, and present their recommendations. 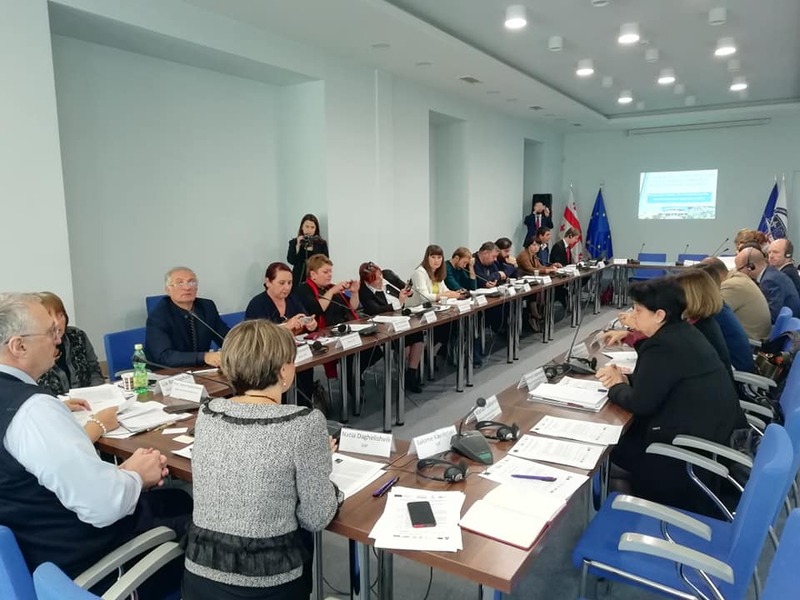 The CAC includes 20 delegates from the Local Advisory Councils, established as part of the project, with one representative of civil society and one of small and medium-sized enterprises (SME) coming from each of Georgia’s ten regions. In addition, the CAC gathered representatives of Georgian ministries and agencies responsible for DCFTA implementation: the Ministry of Environmental Protection and Agriculture, the Ministry of Regional Development and Infrastructure, Georgia’s Innovation and Technology Agency (GITA), Enterprise Georgia. Project donors and partners from other EU-funded consortia working on DCFTA in Georgia also attended the meeting. During the second session, local representatives raised their suggestions and recommendations to the government officials, and discussed the possibilities for future initiatives. The CAC meeting concluded in agreement that SME and CSO representatives will further develop recommendations and present it to the government in separate meetings with relevant ministries. The meetings are planned to take place by the end of January, 2019.